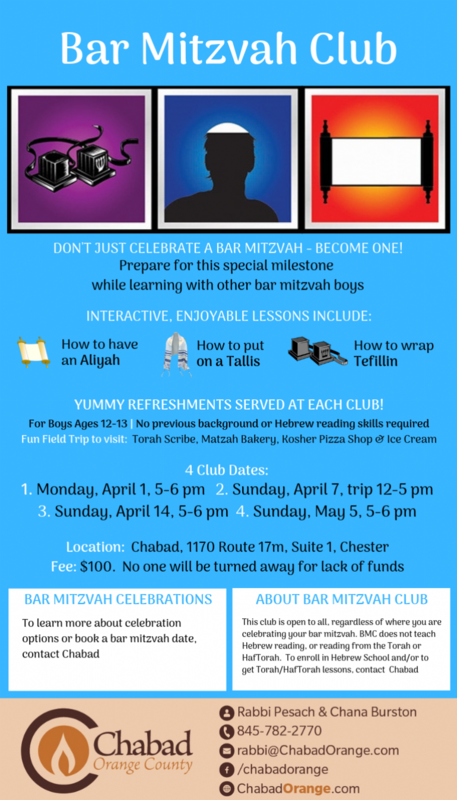 The Bar Mitzvah Club is a program designed specially for boys who are approaching that very special time in their life. Bar Mitzvah is a person, not an event. 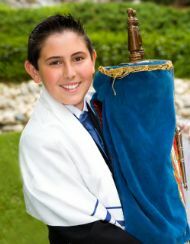 Bar Mitzvah is not a “performance” or a time to be nervous about chanting and speaking in public and memorizing lines! That’s not what Bar Mitzvah is about. A Bar Mitzvah is more than a bar to pass; it is a time to recognize what it means to be a Jewish man and the responsibilities we have to ourselves, our religion, mankind and creation. 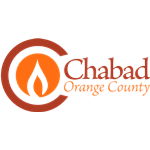 Chabad’s Bar Mitzvah Club provides insight and understanding that go beyond Hebrew School basics that will help them better prepare for Bar Mitzvah. Our Bar Mitzvah Club gives the students the knowledge and spirit they need as they grow into young adults. Members enjoy a combination of learning and fun through regular meetings, interactive discussions groups on various Jewish topics, special programs and field trips, activities, projects and involvement in the Jewish community. This is all accomplished in a cheerful environment that makes the experience enjoyable and meaningful. They will learn the deeper meaning of becoming a Bar Mitzvah, a better understanding of the Torah & Mitzvot, Jewish leaders, the Mitzvot connected to Bar Mitzvah - Tefillin, Tallit and Aliyah (being called up to the Torah) and Ahavat Yisroel (love and responsibility to others). These lessons will hopefully ignite in participants a love and pride in their Judaism and will help them define who they are as Jews.